Critical Analysis: R2P – Whose responsibility is it? On April 14, 2014 the hashtag #BringBackOurGirls began trending on Twitter as the abduction of 276 Nigerian schoolgirls in Chibok flooded news outlets around the world. The Islamist group Boko Haram claimed responsibility for the kidnapping, and, with the exception of a few victims who have since escaped, the majority of the girls whereabouts are still unknown. 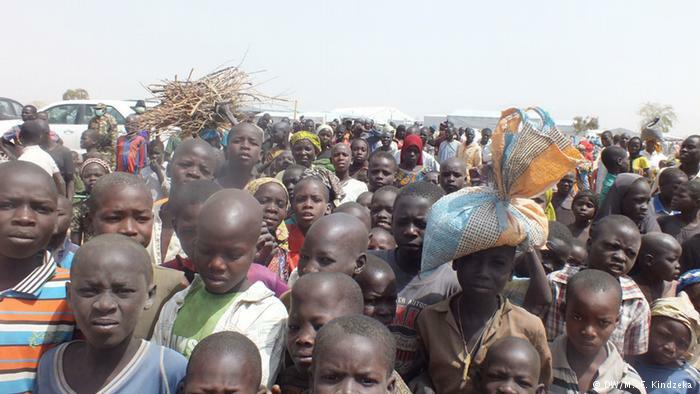 According to UNICEF, in the year since the Chibok abductions, 1.2 million people in northeast Nigeria have been displaced due to Boko Haram-insurgency. Schools have been a target for Boko Haram since its militant operations began in 2009. In the past three years over 300 schools have been destroyed in the northern region of Nigeria, depriving 10,000 children of an education. Perhaps the most troubling trends since Boko Haram’s reign of terror began have been the increasing number of the displaced being subject to human trafficking and Nigeria’s lack of effectiveness in preventing it from spiraling out of control. According to the Global Slavery Index an estimated 800,000 people are enslaved in Nigeria. However, by the Nigerian government’s own admission, 8 million children are currently subject to human trafficking. Many of those trafficked children are forced into labor, marriage, and prostitution. The displacement camps and their surrounding communities have had their access to humanitarian aid cut off by the violence, rendering them ineffective in supporting the overwhelming amount of refugees flooding their streets. The overcrowding, lack of food, and fear for safety has forced many young girls into prostitution, and young boys into joining the recruitment of Boko Haram in the armed conflict. These atrocities have not gone unnoticed by the international community. 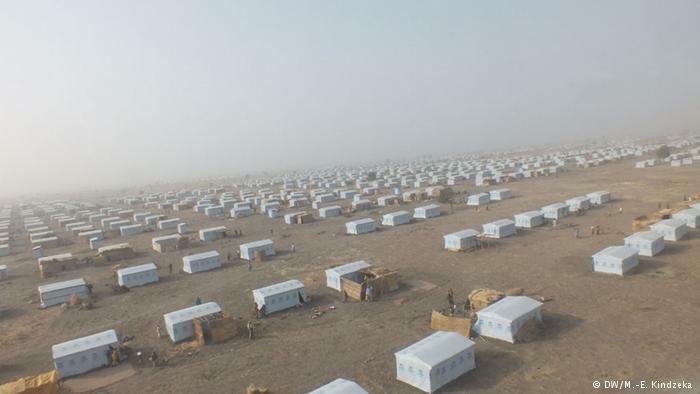 Hundreds of Nigerian Refugee Tents in Minawao, Cameroon. Credit: DW. #BringBackOurGirls was tweeted 3.3 million times in the month following the kidnappings in Chibok, and UNICEF has responded by supplying 60,000 children with psychosocial support and by raising an estimated $3.84 million to further its efforts during 2015. Yetdespite worldwide awareness of the crisis in Nigeria the international community has done little. Similar to its inability to address the plight of the Palestinian refugees, international humanitarian law has yet again proven to be inefficient in address humanitarian crises in an urgent and effective manner. While intergovernmental organizations and state commenters have been in favor of implementing a Responsibility to Protect in these situations, they have yet to do so. Is the lack of any real progress towards the implementation of Responsibility to Protect an indication that it may not be the answer to grave and immediate humanitarian atrocities? In late 2011, multiple states took a stand against a United Nations Security Council draft resolution draft on Syria’s violent response to the protests in Damascus against Syrian President Bashar Al-Assad. China and Russia vetoed the draft fearing that it would be construed by western states as legitimizing “unilateral sanctions and [an attempt] to forcefully overthrow regimes.” Brazil, India, South Africa, and Lebanon abstained from the vote, with South Africa expressly stating its concern that the resolution may be abused to justify implementation of “punitive measures on Syria.” Brazil, in its comments, stated its belief that “[a] meaningful, inclusive national dialogue leading to reform” was the only answer to the Syrian crisis. It remains to be seen how effective Buhari’s government will be at shouldering the Responsibility to Protect in Nigeria. However, its success could go a long way in solving the conundrum of the international community: “whose responsibility is it?” In the meantime, the international community will continue to grapple with forming a framework in which the doctrine of the Responsibility to Protect can adequately address future humanitarian concerns. Philip Nickerson is a 2L at the University of Denver Sturm College of Law and is Managing and Production Editor for the Denver Journal of International Law and Policy.